SAMS continues to closely monitor the humanitarian and medical situation in Idlib, a province in northern Syria and home to nearly 3 million Syrians, including 1 million children and half of whom have been displaced from other areas in Syria. SAMS has acted quickly to prepare for renewed conflict in northern Syria by procuring and distributing over $2.7 million in medications, medical supplies, and equipment to our healthcare facilities across northern Syria. This included procuring specialized ICU medications, anesthetics, and orthopedic supplies. We also delivered 7 shipments of medications and supplies in partnership with Direct Relief and Americares. While the crisis in Idlib has been temporarily averted as of late September, a lack of resources, overcrowding, and displacement continue. In the face of these challenges, SAMS is working to ensure medical needs are addressed and lifesaving care in northern Syria is available. 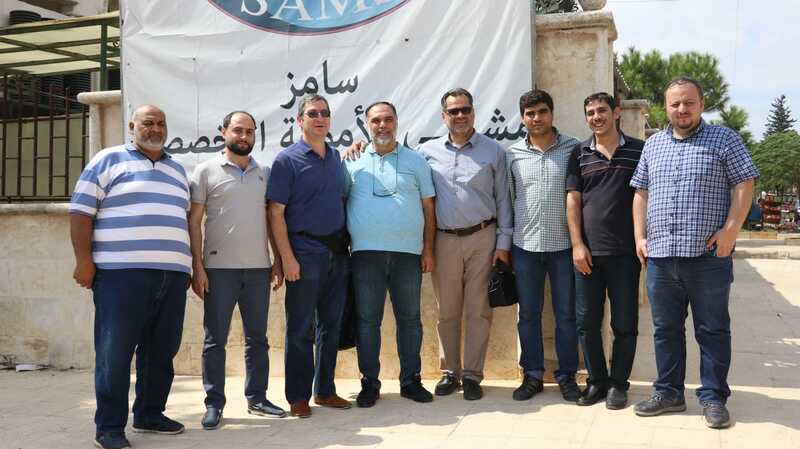 SAMS Foundation Chair Dr. Amjad Rass met with partners in Turkey to discuss joint efforts to ensure continued services for those in need in northern Syria. 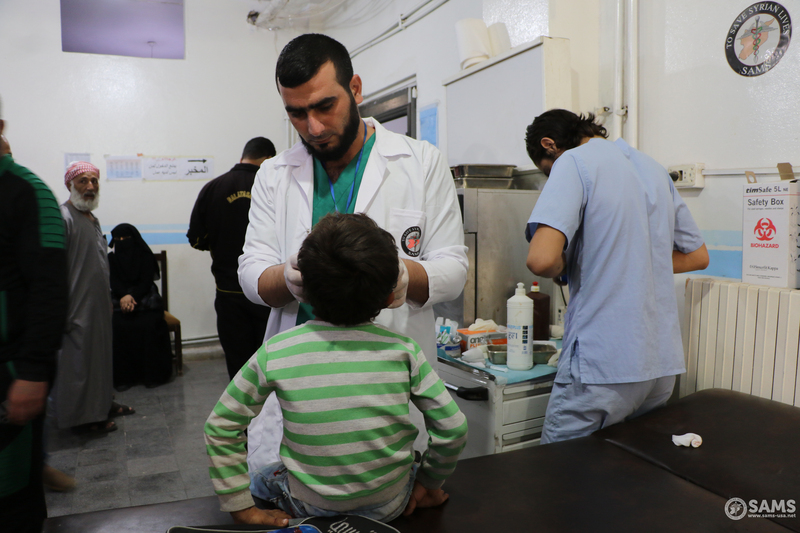 Dr. Rass also visited staff and SAMS-supported medical facilities within Idlib as part of a larger effort to ensure proper and effective response in the face of escalating conflict. Our supported facilities and healthcare workers provided nearly 634,000 medical services from June- August 2018. The SAMS-supported Microbiology Department opened in September 2018 at Ma’ara Central Hospital in Idlib. The department provides the only screening service of its kind in the region, detecting bacterial pathogens and identifying appropriate drug treatments for a wide range of infectious diseases. Community health workers from the SAMS-supported Al-Zerbeh and Qah Primary Healthcare Centers participated in the sixth Infant and Young Child Feeding (IYCF) campaign in the region, raising awareness of the benefits and importance of breastfeeding. The workers reached 8 villages throughout southern Aleppo, measuring infants, distributing vitamins and supplements, and facilitating awareness sessions for mothers. We continue to watch the situation closely and monitor the needs of our beneficiaries and staff in the area. You can support SAMS work in Idlib by giving today and selecting “Idlib Fund” from the menu to allocate your donation. Your support will ensure that SAMS has the needed resources to respond immediately and efficiently in the event of an attack on Idlib..
Support our efforts in Idlib. Donate today.